She later held a group meeting with leaders from different Madhes-centric political parties. The meeting was attended by the leaders of the Madhesi Janadhikar Forum (Ganatantrik), Tarai Madhes Loktantrik Party, Nepal Sadhbhawana Party, Sanghiya Samajwadi Party-Nepal, Sanghiya Sadhbhawana Party, Madhesi Janadhikar Forum (Loktantrik), Madhesi Janadhikar Forum-Nepal among others. 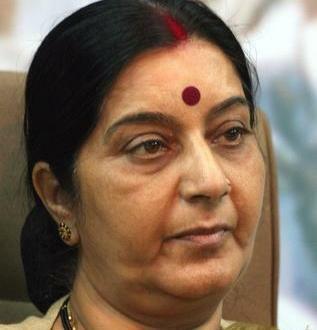 Swaraj is here to attend the third meeting of the Nepal- India Joint Commission, which is being held after 23 years.